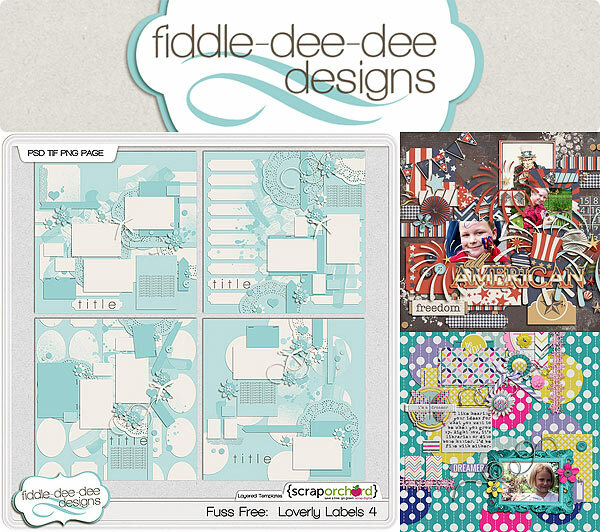 Fiddle-Dee-Dee Designs: Fuss Free: Loverly Labels 3 & 4 ~ New This Week & FWP! Fuss Free: Loverly Labels 3 & 4 ~ New This Week & FWP! There are so many lovely things in this life and Fuss Free: Loverly Labels 3 and Fuss Free: Loverly Labels 4 template sets are designed to guide you in making incredible layouts to record all the loveliness in yours! With loads of paper label mats and an abundance of elements, these templates are a fabulous start to any layout. If you purchase Fuss Free: Loverly Labels 3, you get Fuss Free: Loverly Labels 4 FREE. Offer valid through July 3, 2013. I've loved having you come by . . . 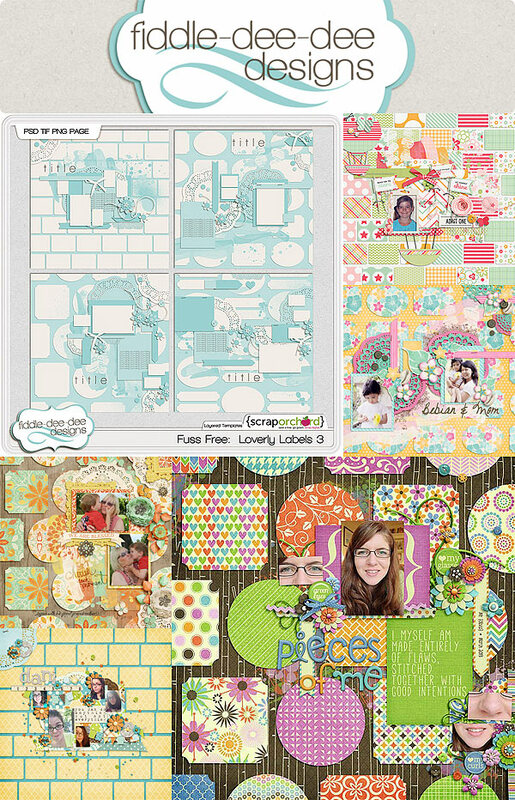 I hope all these fabulous layouts are going to inspire you to create! Enjoy the weekend! Love, Love your templates and their value! oh, wow. Cheryl, you've outdone yourself again! I keep trying to convince myself I don't need to buy more templates because I just need to use the ones in my huge stash. And then you go and make MORE that I just must have!